I want you to have Cape Cod vacations. I want you to feel the excitement of walking on a white sandy beach that stretches for miles and miles, and not caring where it takes you or where it ends. And I want you to experience the thrill of a Cape Cod sunset. But most of all I want you to rediscover the enjoyment of discovering. You see I can hardly contain my excitement. I’m excited for you because I know what you’ll find in these pages. And it’s going to be a revelation to you. I want you to get more out of this article than just a list of things to see, and do, on your Cape Cod vacations. Honestly, you can get that from any travel book at Amazon. But I want you to feel the Cape in your heart, and decide today to go and visit. Well, for starters I’ll speak to you from a place of love for Cape Cod. You see I’ve been having my own Cape Cod vacations for 23 years, and I lived on the Cape in Orleans for two years. Many of the best memories of my life are from that period. And I know I have many more great memories waiting for my return Cape Cod vacation trips. There’s a mesmerizing and magnetizing affect the Cape has over me. It attracts peaceful thoughts and wonderful anticipation every time I know I’m going to visit. Okay, maybe that’s a little melodramtic… but I want to make the point about why every year you delay taking Cape Cod vacations affects what you’ll be able to see. About 12,000–18,000 years ago, when the last of the glaciers from the Ice Age finally left the area, it left behind sediment and a glacial lake that eventually formed the core of Cape Cod and the islands to the south, including Martha’s Vineyard and Nantucket. The glacial lake eventually drained and as the sea level rose the waves eroded the glacial deposits. The constant ocean battering and currents deposited the sand elsewhere and created the barrier spits and sand islands you’ll see today. Each year the combined effect of storms and the wind reclaims about five acres of land from the Cape, but only redeposit’s one acre elsewhere as land. Simple math tells you that isn’t good news. What this means is… places you can see today will not exist in a few years time. Recaptured by the sea and forever lost. Time is literally running out for the Cape. I just want you to realize it’s a fragile environment and won’t be around forever. But then again what is? So enjoy your Cape Cod vacations today. The time is always right to visit the cape. As I get asked the most about places to stay on the Cape let’s start with that topic. Cape Cod is a treasure trove of inns, and bed and breakfasts, and family resorts and hotels. Hyannis tends to have the largest selection of the more familiar hotel chains. But the Yarmouth and Dennisport and Harwichport areas are also stuffed with family resorts close to beaches, attractions, and plenty of restaurants. Like the Lake Winnipesaukee area in New Hampshire renting a house for a week or the summer is very popular on the Cape. 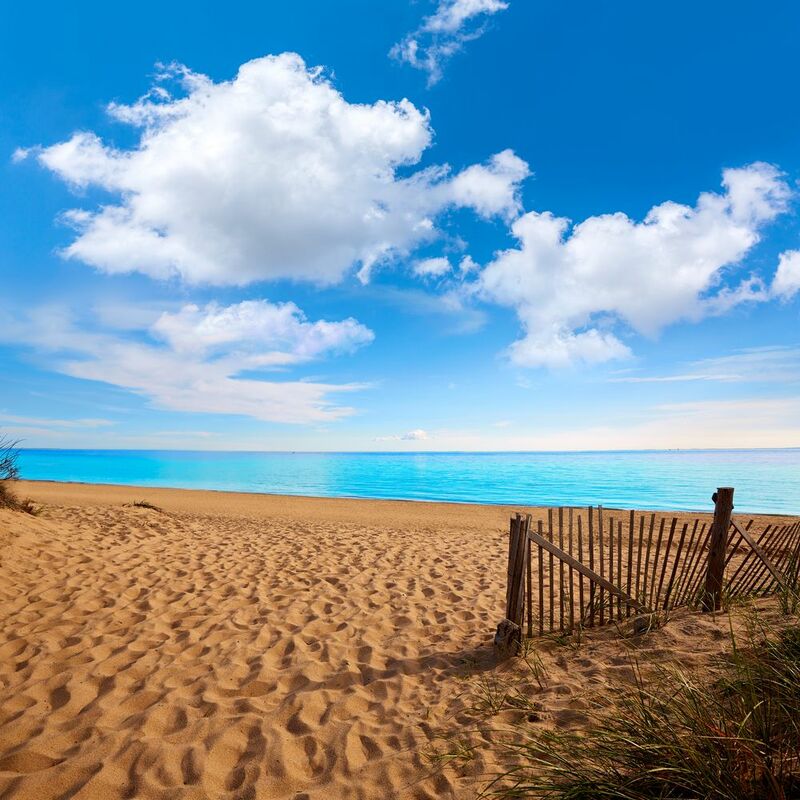 There are many seasonal Cape Cod rentals available that cater to those looking for all the comforts and amenities of home or just seeking a place to crash after a day at the beach or sightseeing. And mingled in everywhere, but especially in the towns of the Outer Cape, are Inns that make Cape Cod vacations so memorable. These are the renovated homes of bygone sea captain’s, or big city business magnates, whose homes now attract and cater for vacation seekers looking for harmony with the Cape. The town of Sandwich lies on the Cape Cod bay side. A not-to-be-missed attraction here is Heritage Plantation. You can stroll around the scenic gardens and woods, and forget where you really are. In May the plantation’s abundant and forest size Rhododendron bushes put on a magnificent display that attracts thousands of garden lovers. Take the trail to an authentic and spotless indoor 1912 carousel that you can ride as many times as you want for one low price – how low? How about free! Also in the grounds are an antique car museum, an American History Museum and an Art Museum. The plantation plans many festivities throughout the season, and it’s a perfect place for a carefree day on your Cape Cod vacations. Whenever we visit there’s always something going on and the kids enjoy the outdoor walks ,and my wife and I enjoy the great collection of plants and trees, so lovingly cared for. Back in the town you can visit the Sandwich Glass Museum and marvel at just what you can do with melted sand, and blown into various shapes by expert glassblowers. Beats me how they do it. Round out your tour of Sandwich by relaxing in the village by the Shawme Pond and Dexter Grist Mill. There’s plenty of places to sit and stroll, and if you have your camera the area makes a great Kodak moment for your Cape Cod vacations scrapbook. If you’ve read any of my New Hampshire articles at this site, then you’ll know that I have a healthy fascination with trains, and this ride remains one of my favorites, and I know you’ll just love it too. In 1848 the railroad finally connected Cape Cod with the rest of Massachusetts. By 1872 the railroad reached out to the extremes of Woods Hole and Provincetown. The railroad opened Cape Cod as a vacation spot and was the main form of transportation to the Cape. But with the automobile age, and the completion of the bridges over the Cape Cod Canal, by 1937 the railroad had already seen its best days. People preferred to get to their Cape Cod vacations by car. And finally in 1959 all train passenger service to Cape Cod ended. In 1999 The Cape Cod Central Railroad was formed and so began the ride that beckons you now. Many thousands on Cape Cod vacations now take these nostalgic rides each year, and there just a hoot for everyone. The scenic fun train runs between the towns of Hyannis and Sandwich. It takes about two hours to do the round trip, but you can detrain in Sandwich and catch a later train back. Tickets are only sold the day you ride. Get your ticket and board the train at Hyannis or Sandwich, and settle back to a gentle-paced chug through picturesque Cape Cod countryside dotted with cranberry bogs, woodlands, and salt marshes. For something different on your Cape Cod vacations try the Family Supper train. Or for more elegant dinning, you can ride The Cape Codder Gourmet Luncheon Train, or the evening Elegant Dinner Train. Just remember… you’re riding a bit of history when you ride the Cape Cod Central Railroad. Let’s stay with the theme of the railroad for your Cape Cod vacations, but for a different reason. The 22-mile paved bike trail from Dennis to Wellfleet runs along the Old Colony Railroad and is an absolute delight for cyclists on Cape Cod vacations. The trail will take you through the towns of Dennis, Harwich, Brewster, Orleans, Eastham, and Wellfleet. With very few hills and plenty of refreshment stops along the way it’s a great way to spend a day. On the Cape you’re always close by a bike rental shop if you didn’t bring your own. The trail begins at Route 134 in South Dennis where you’ll be able to park, and ends 22 miles later at LeCount Hollow Road in South Wellfleet. 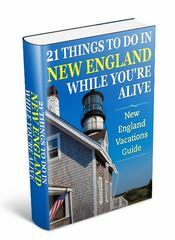 Favorite spots to stop along the way are Nickerson State Park in Brewster, National Seashore Salt Pond Visitors Center in Eastham, and the Marconi Historic Area in Wellfleet. But there’s a whole bunch more in between all those stops. This really is a great way to combine, exercise, a healthy outdoor activity, wonderful scenery, and of course an excuse to stop for your favorite ice cream flavor – Eastham has a Ben & Jerry’s. If you’d like to get more information on this bike path, see a map, and learn about more bike trails, then go to my Cape Cod rail trail page. 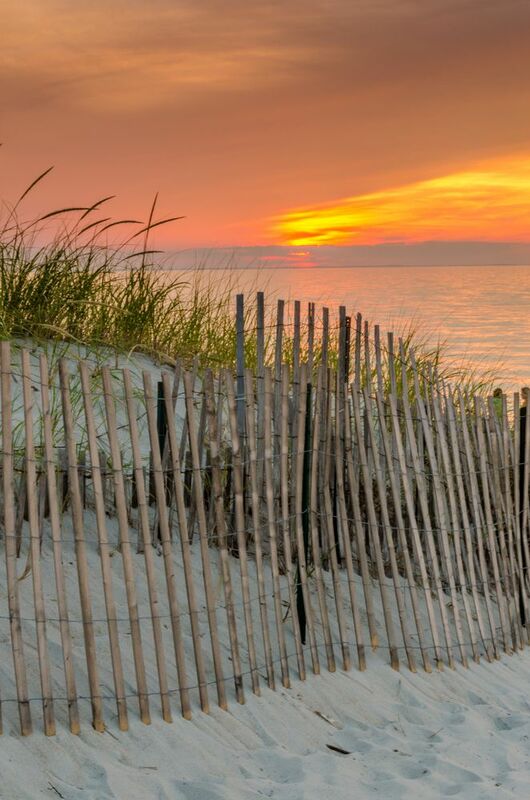 The crown jewel of Cape Cod – The National Seashore Park covers an area of 43,604 acres. The National seashore has two visitor centers. In Eastham there’s the Salt Pond visitor center – closed since 2003 for major renovations it’s due to reopen in 2005. And in Provincetown is the Province Lands Visitor center – where you’ll get unbelievable views of the Province Lands sand dunes. Within its boundaries are a swamp, six swimming beaches, eleven nature trails, and enough scenic views to create a life time of memories. A week of Cape Cod vacations awaits you in this park. Everything about the area is interesting – from the way it was formed, to what remains today for the enjoyment of millions… and you. Come and explore with me this national treasure in more detail as I describe stunning beaches, unforgettable hikes, and terrific trails within the park. And I’ve an awe-inspiring activity for you to do that’ll just knock-your-socks-off. I’ve pulled all this together in one place. 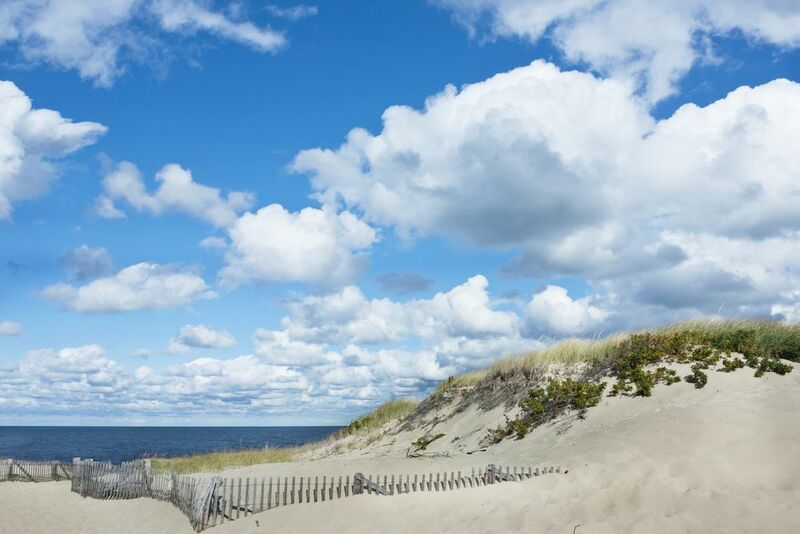 You can read right now about the Cape Cod National Seashore. Affectionately known to most as P-Town, Provincetown is generally accepted as the first land the Pilgrims set foot upon when arriving in 1620. Seemingly oblivious to the constant threat of being overrun by sand, life in this bohemian artist colony just does its own thing. A rich source of street life will greet you as you walk up the main drag on a summer’s evening. Provincetown caters to a large gay community both in lodging, bars and restaurants. And is not shy about it. Plenty of tempting shops for jewelry or art galleries seem everywhere, as are the obligatory T-shirt merchants. Fresh seafood (and it’s caught right here)is prominent on the menu in the many restaurants located along Commercial Street. Parking can be a hassle in the area, and you’ll be forced to park away from the main activity areas. However, the good thing is that everything is within easy walking distance. So, no worries mate. The close proximity to the Whale feeding ground of Stellwagen Bank make this a popular town to take a Cape Cod vacations Whale cruise from the harbor. The island of Martha’s Vineyard is just a short ferry ride away from Woods Hole and served by the Steamship Authority, among other ferry services. While many people vacation for their whole time on the Vineyard, if you start early you can do a day trip from the Cape if you’re close to Falmouth or Hyannis. The ferry service arrives at Vineyard Haven and you can rent a bicycle or moped for the day. My preference is to see the island on bicycle. 20 miles long and 10 miles wide make cycling a great way of seeing the island. A special bike trail takes you from the Haven to Edgartown and then onto many beach areas. As you tour the island just make sure you spend a few hours at Aquinnahn, formerly the area known as Gay Head. Here you’ll find the magnificent and famous cliffs, and the lighthouse. 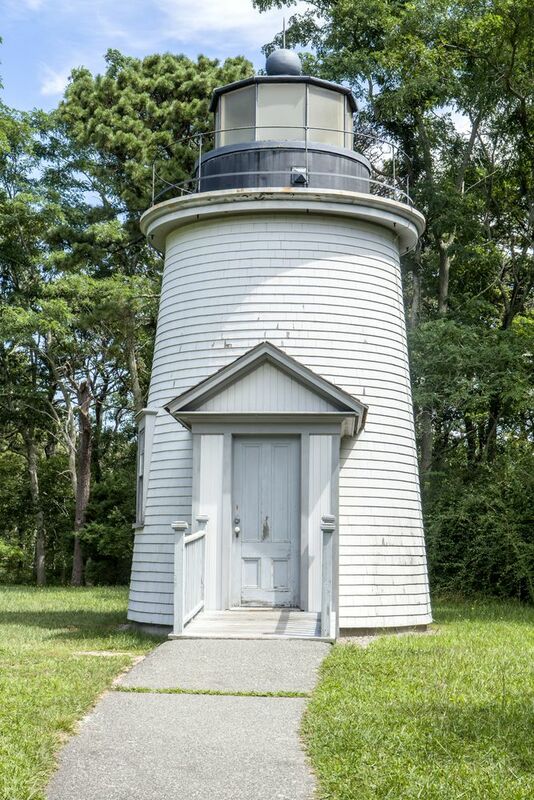 For much more information on what to see and do, and where to stay on Martha’s Vineyard, you can read my special article on Martha’s Vineyard vacations. Smaller than Martha’s Vineyard and a longer ferry ride from Cape Cod, Nantucket provides more of an island feeling missing from other types of Cape Cod vacations. The Steamship Authority ferry leaves from Hyannis and is a good two-hour ride to the town of Nantucket. Don’t be confused; the town name is also the island name. Nantucket was once the Whaling center for the region, and at one time 10,000 people called the island home. As larger whaling vessels were built the industry switched to the ports at the Vineyard and New Bedford. There’s plenty to do in Nantucket town but to see the real island get on your bike and head out to the village of Siasconset – called “Sconset” by locals – and marvel at the gorgeous beaches the island offers up as “breakfast“, “lunch“, and “dinner“. 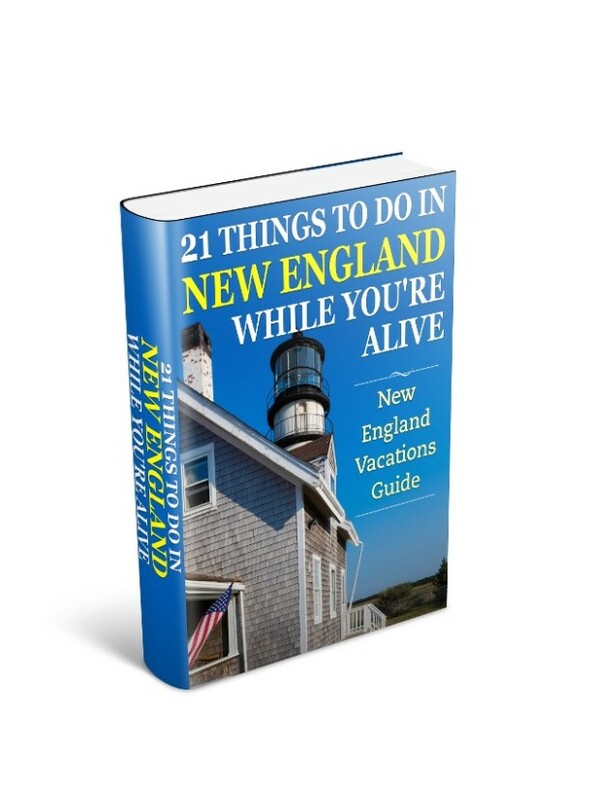 For much more information on what to see and do, and where to stay on Nantucket, you can read my special article on Nantucket vacations. Okay, there’s heaps more great reasons to choose Cape Cod vacations and the islands of Martha’s Vineyard and Nantucket for your visit to New England. But I’ve run out of space. In the 1930’s both the Cape Cod bridges at Bourne and Sagamore were completed, and gave auto access across the Cape Cod Canal to the Cape from the mainland. Traveling from the Boston area, you’ll take Route 3 and enter the Cape over the Sagamore Bridge and join Route 6. From points west and northwest you’ll go over the Bourne Bridge, and then follow Route 6 east. Major routes to use on your Cape Cod vacations are Routes 6, 6A, and Route 28. If you need to get any distances on the Cape quickly then Route 6 is your road. After the rotary at Orleans it’s actually the only route out to Provincetown. But traveling along Route 6 all the time you’ll miss so much of the charm and beauty of the Cape and its towns. Slower but more picturesque driving routes are: on the North Cape – 6A, and Route 28 on the South Cape. On Route 6 at exit 6 you’ll find Hyannis. Hyannis is the commercial hub and largest town on the Cape. It’s also the town the travel writers love to bash as many adopt a holier-than-thou-not-the-real-cape-back-to-nature unrealistic drivel in their writing. The fact is here you’ll find all the amenities of a modern Massachusetts town. It has the Cape Cod Mall, Barnstable Municipal Airport, Hyannis Bus Terminal, and Cape Cod Hospital. And if you live on the Cape these are important services to have – especially the hospital. And as a resident for two years I was certainly grateful for at least the hospital… and the Mall.